Recently I was able to put my hands on a couple of W700 units. Since these always were expensive (TOO expensive) I do not have much experience working on their hardware. However, after a 2-3 week time of playing around them I must say that I see their ups. - I have disassembled a few units, and it seems there are two heatsink types - for dual cores and for quadcores. The thing is, fan units also seem completely different with dual sporting 14 fins and quadcore sporting 17 fins. Does it make much difference? Can't tell (yet), but the 17-finned quadcore heatsink seem to keep the QX9300 at reasonable heat levels (85C is all I got with no undervolting and on 100% load for 30 mins). Are there any other fan/heatsink combinations on this model? - pretty much the same on the GPU; two tested units have fx2700m, but one of them initially had fx3700m, and the heatsink/fan also seem completely different. Not that it should work better on first glance - I did not test it yet as well - but it seem... well, different. Also a fan with more fins on fx3700m unit. Will compare to another one w/fx3700m installed to compare. fx2700m w/ (presumably) fx3700m fan installed tops at puny 65C. - I thought that actually dual core models work only with dual cores. However, after reinstalling the CPU AND replugging CMOS battery quadcore works perfectly fine! - I'd love to hang the engineer responsible for power plug in this model. Lots of space, but it's soldered with some super-weirdo-impossible-to-get 6,3x4mm tip. Super-costy and rare power adapters. I guess rebuilding a Dell or HP PSU with 6,3x4mm tip would be easier than rebuilding the power plug, but would it work well with 19,5V smart adapters? Need to investigate. Anyone has some reasonable access to those 6,3x4mm tips? Couldn't find any on Fleabay / locally, tried to remake a 6,3x2,5mm and it works - but looks ugly and I hate the feeling it may cause troubles in the future. Last edited by wujstefan on Wed Jan 09, 2019 8:42 am, edited 1 time in total. Picture please of such a 3x6mm tip, can't figure it out. 6,3x4mm. Sorry, my mind was not in the same room. I will take the pic and upload it here later on. More fins = more efficiency = more labour, drains battery faster. Went smooth with no trouble at all to me. Just a guess: each fin pushes a bit of air so adding two fins allows tu push a bit more. This is possibly insifignicant in terms of power measurment but still, this adds to labour (so draws more current) and improves efficiency. I think it relates to the fact that the grid in quad core model is made of copper, comparing to tin in duo core radiators. Copper has better heat dissipation but to actually profit from it more airflow is needed. And I'm "pretty sure" what I'm saying, I design wind power turbines for a living ^^ It will only spin slower or faster, but will have close to none impact on power consumption mentioned. You can have 3 huge wings vs 15 small ones, and the efficiency award may get to the first one. Tin is more expensive than copper for production, non-electrical purposes. I guess you meant Zn-Al alloys; these are truly cheaper and used i.e. for heatsink parts. You can see copper alloys on "premium" T61p while R61 has Zn-Al heatsink with copper only where it's necesssary. This has to be related to fan cost, it is neither designed nor produced by Lenovo - but for Lenovo. Dell's counterpart M6400 has bigger fans with 10 "fins" "wings" or however it's called. I guess there were at least two suppliers of W700 cooling devices - one "2-core, fx2700m" using Sunon fan, and another one "4-core, fx3700m" with some I-have-no-idea-what-brand fan. I will open a second W700 this week to check for internals, and to compare the cooling. Even though these units cost a great backpack of gold coins they tried to cut the cost on such thing. Wow. (Such cost-cutting for HP started with 8740w series). Will make my tests and share. I'm a bit... no, I'm a great deal afraid with using improper hearsink on quadcore, but GPU is definitely worth testing. Maybe I should rather edit the first post rather than writing another one, but the info may come useful to those that seek. The latter has more fins on the fan, consume a little bit more power working at 1.1Amps / 5V vs 1Amp / 5V of the Sunon. It also archieves higher speeds, is a bit louder, and, what is most important, cools the system better. Using same QX9300, same thermal grease and same load test w/Orthos prime the (1) hit 88C w/21C ambient and stayed there. (2) allowed cooling the CPU down to 80C at peak. Do both of these work with both GPUs? Yes, they do. However, using synthetic furmark test on both GPU to fan configs the FX3700m will overheat. I have stopped the test after reaching 93C in 15mins test time. (2) got to 87C at peak i 2hrs synthetic test. I got my kids playing Civilization 5 to test real-life load temps, and 82C was the max inspected via HWinfo log. Last edited by wujstefan on Fri Jan 18, 2019 3:54 am, edited 1 time in total. This is indeed useful, for sure. Does the unbranded heatsink for the processor feature an FRU label? The hardware maintenance manual seems to have 2 FRUs listed for that part, but it doesn't point out the differences for the 2 FRUs. It would be great if you could check their FRU labels. 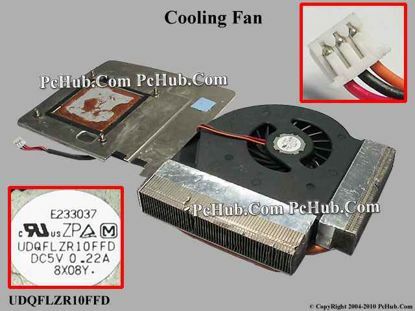 Compare the fans with similar ones from Toshiba, Furakawa or Delta. Will send in some FRUs and further test results later on today. I must say now I can see some strong points of the W700 compared to their Dell and (especially) HP counterparts. I have polished the copper plate from my fx3700m cooler and have applied a new grease and pods. The gpu overclocked to 690MHz and the memory to 966MHz card worked ok and the temp during intensive benchmarking stayed at around 72 degrees. Before polishing and on the stock (?) grease it would display some glitches and freeze after short time. The memory cooling is really poorly designed there. Chips get really hot, to the level I cant touch the metal plate conducting the heat to the heatsink. Maybe with the ECC disabled I could get better results, I'm going to look around for if there is a bios mod that disables this read overhead. Any advice would be welcome. ECC? I doubt the Quadro FX 2700M and the Quadro FX 3700M supported ECC memory, and even if they did, they would have an option in the NVIDIA control panel that looks like this. My W700 with its Quadro FX 2700M, does not have that option listed in the NVIDIA control panel. As far as I know, NVIDIA's Fermi architecture was the first to support ECC memory (search for 'First GPU with ECC memory support'). The Quadro FX 2700M and the Quadro FX 3700M are not Fermi-based graphics chips by the way, but Tesla-based graphics chips. 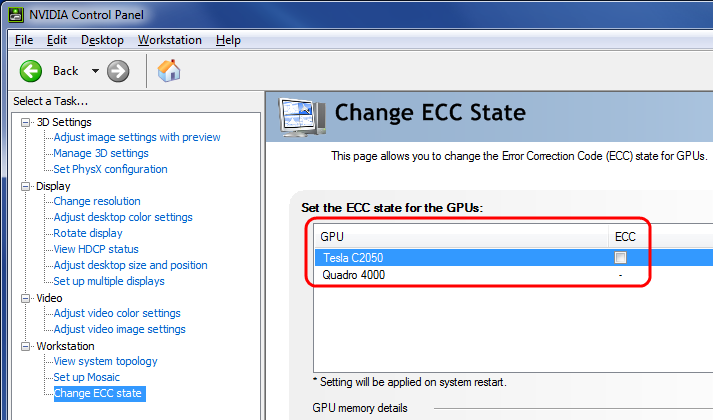 Due to that and the missing option for disabling or enabling ECC in the NVIDIA control panel, I am fairly sure that they didn't have ECC support to start out with. Thats interesting, I remeber reading somewhere It has ECC. Thanks for making this clear. Updated the post above with the FRUs I have tested overall 2x quadcore/fx3700m and 2x dualcore/fx2700m sets, and it confirms what I suspected. I believe that the unbranded heatsink assembly's fans may be actually Panasonic-branded fans, since the 45N6060 part seems to have a distinctive naming scheme used on most Panasonic-branded fans. Take the G41's fan for example, since it also had this naming scheme. The G41's fan was constantly identified as a Panasonic fan, so the unbranded heatsink assembly's fans must be a Panasonic. Interesting that Panasonic made unbranded fans...I'd figure they'd want there name out....but whatever. I guess it goes under the same category as the people that make the ubiquitous standard 1 cell powerbanks. 1 manufacturer and 50 million OEM sales. I just realized that they did put their branding on it, but it is a very hard-to-catch logo. I didn't even think that was a logo in the first place, either. Notice the questionably small [M] logo on their fan's label? 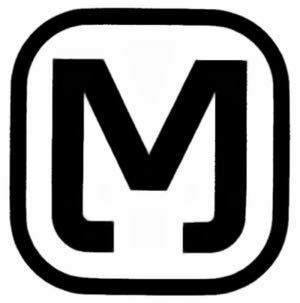 That stands for Matsushīta, and I forgot to mention that this is the way to identify them. I am considering selling parts for my W700. I have a complete machine, just that from what I can tell the motherboard is damaged.